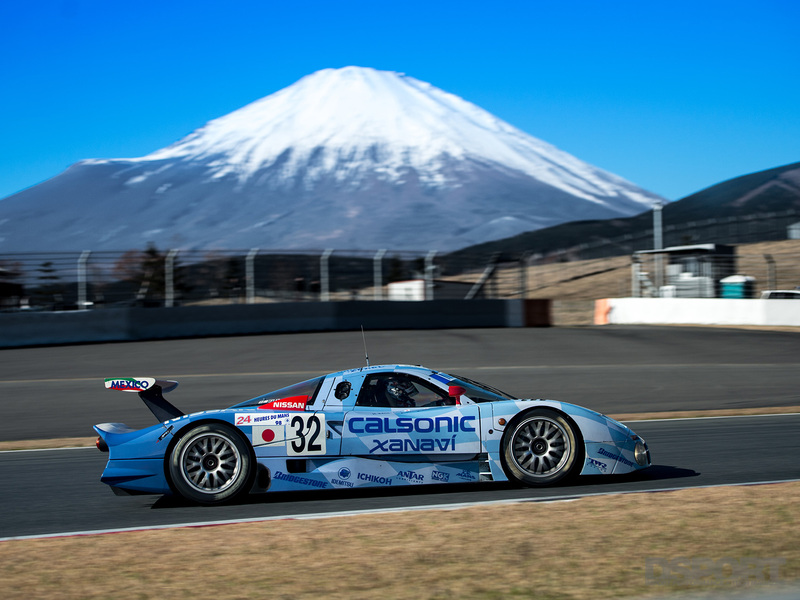 Once a year, Fuji Speedway becomes the gathering grounds for nearly every Nissan motorsports enthusiast in Japan. 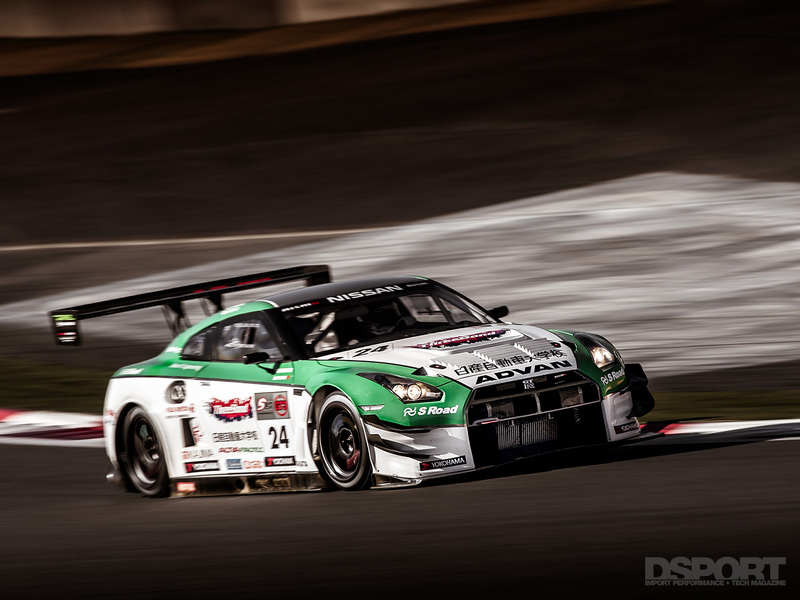 After a hiatus in 2012, due to NISMO’s relocation to Yokohama, Nissan enthusuiasts and their vehicles gathered at Fuji Speedway at the base of Mount Fuji on December 1st for the long-awaited NISMO Festival 2013. 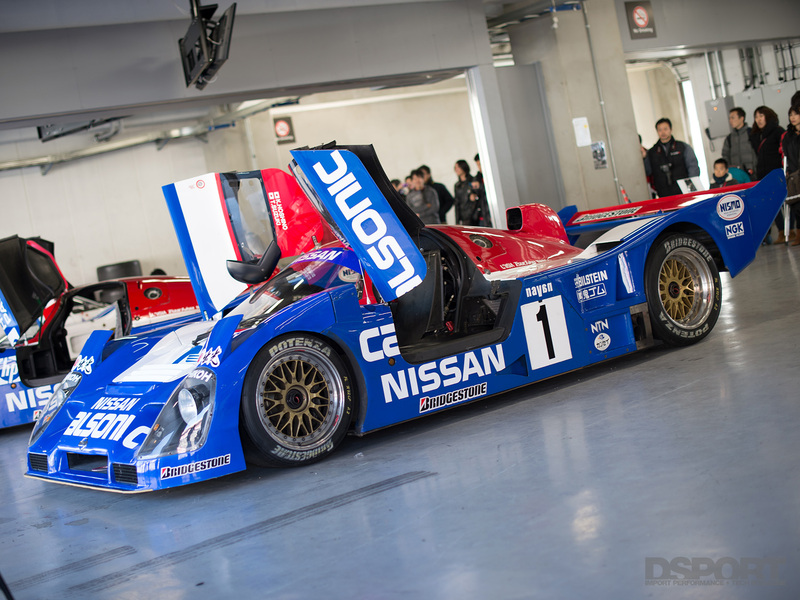 From the iconic Nissan race cars that some only know about through Gran Turismo, like the R390 GT1 and the JGTC NISMO R34s, to the 1970’s era KPGC10 Skylines and late 1990s NISMO 400Rs, Nissan and its enthusiasts filled the festival with passion for motorsports. 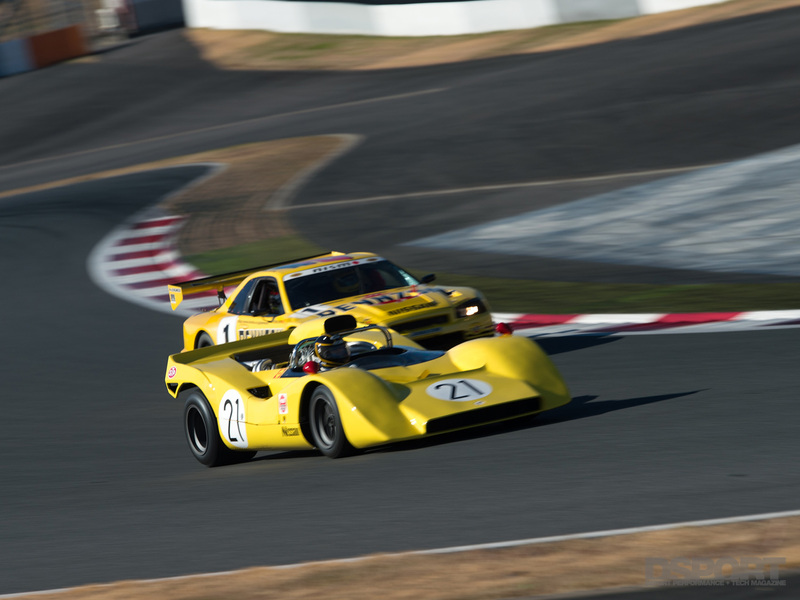 Beginning with a ceremony to celebrate the 80th Anniversary of Nissan, the events started with Nissan’s Historic Car Demo Run that included some of Nissan’s most coveted cars from the last 50 years. 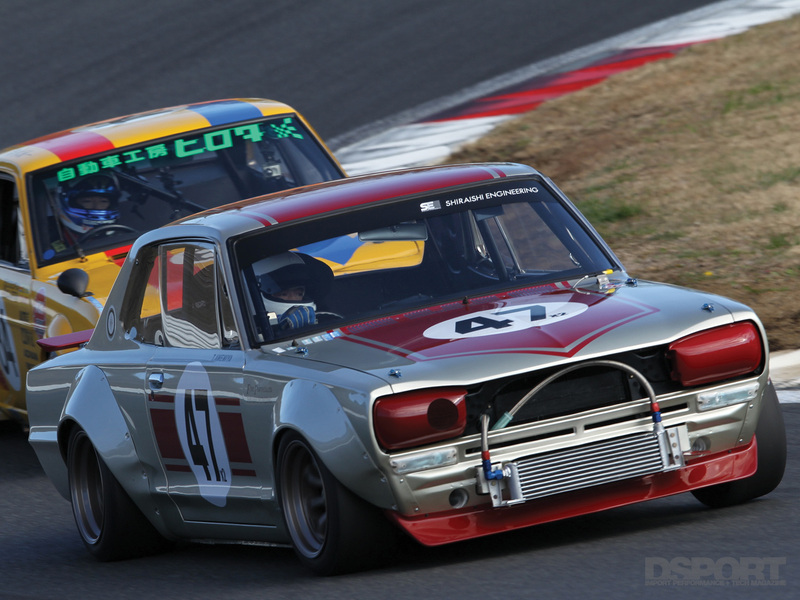 As the Nissan R380/R381/R382, Skyline 2000GT-R, Group A BNR32 and others fired up their engines, a symphony of engine notes from Nissans of the past filled the air. 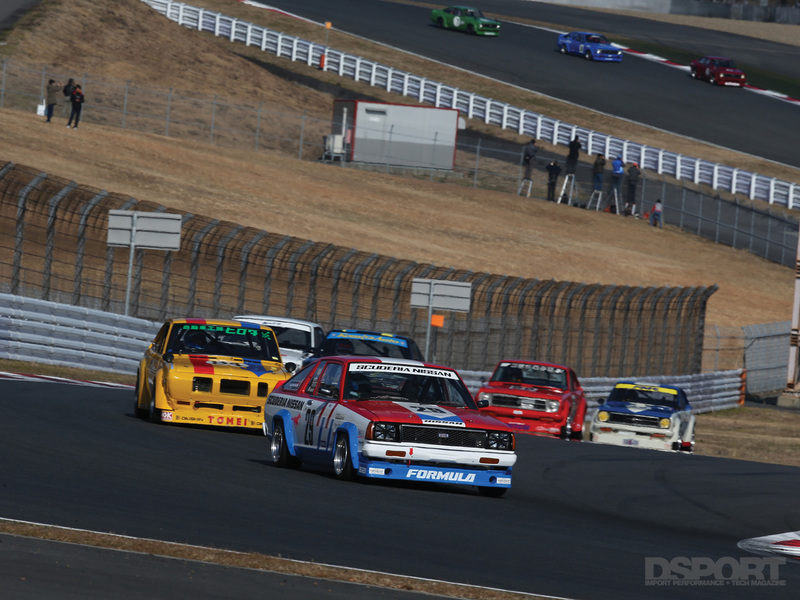 After lapping the track a few times, the older machines began to return to the pits. 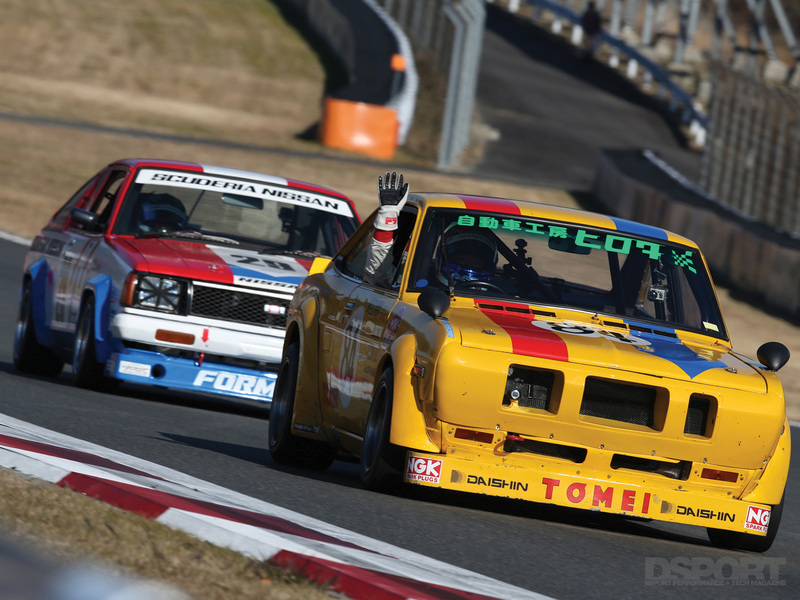 The festivities continued as a group of the Japanese Grand Touring Championship (JGTC) title winning Skyline BNR34s, wearing Pennzoil and Xanavi liveries, pulled out of the garages and onto the track, lighting up their RB26 engines, much to the excitement of the crowd. 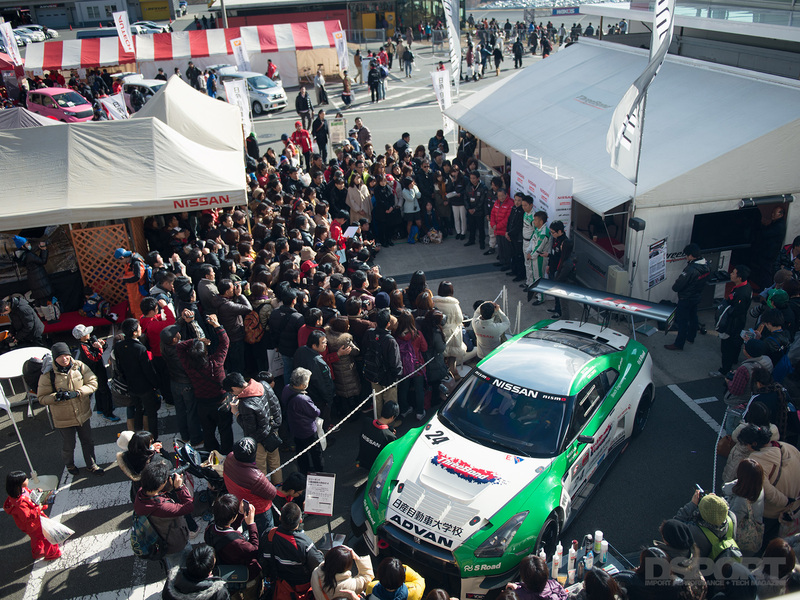 Scenes like this only come once a year and only at NISMO Festival. 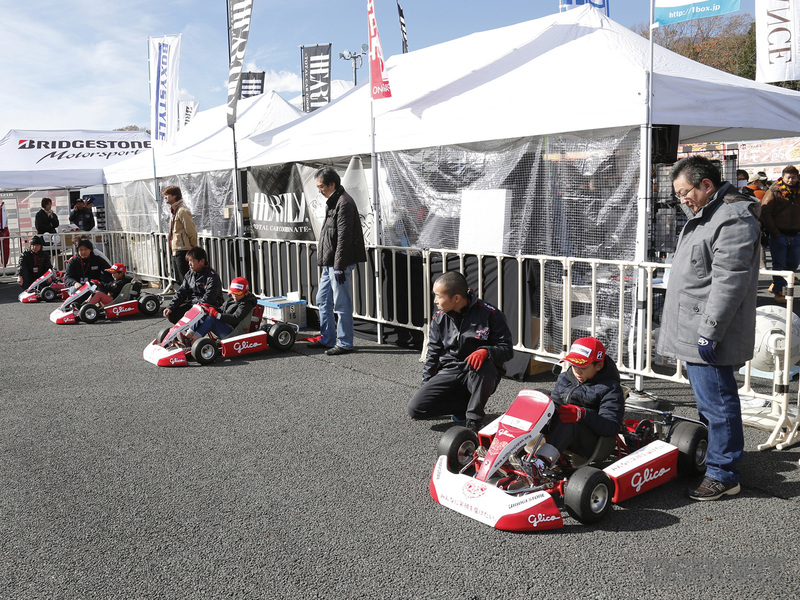 While spectators enjoyed the car show on the track, other fans scoured the booths and shops for deals and rare finds. 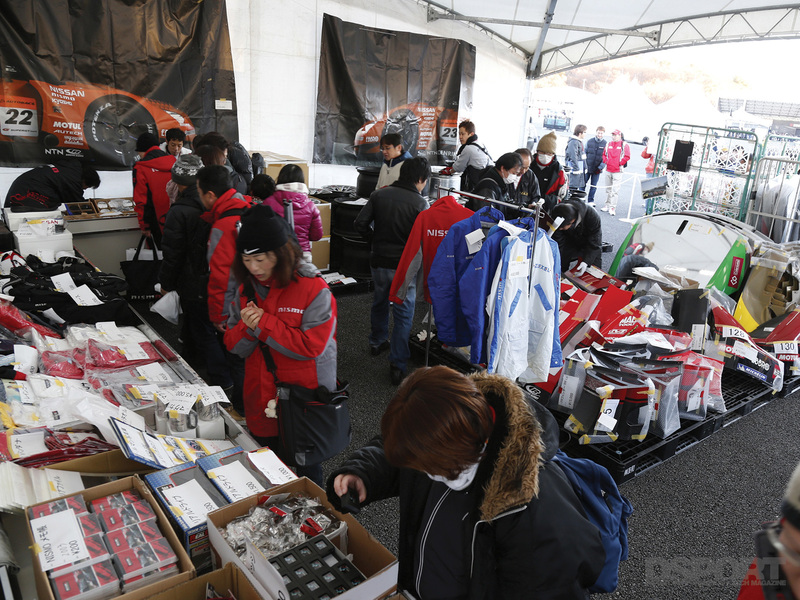 Fans waited in line for over an hour to visit the well-stocked NISMO shop for apparel, models and other collectables. 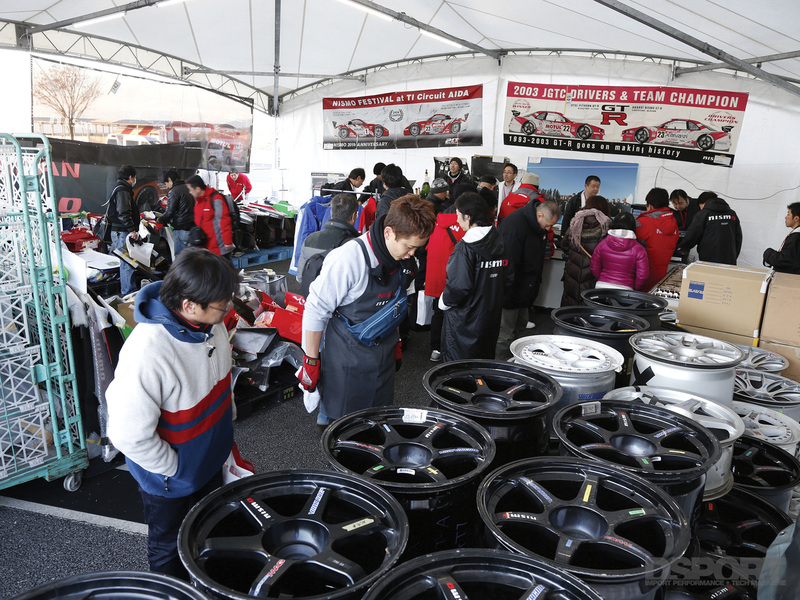 Used race parts also drew a large crowd, offering fans a chance to own a piece of JGTC history, like centerlock TE37 wheels, a set of fenders from an Autech race car or an authentic NISMO pit crew jacket. 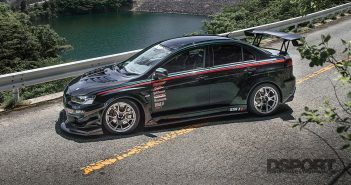 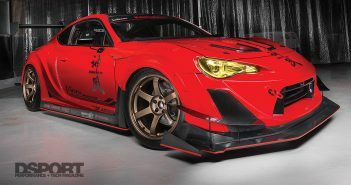 This year, TOMEI POWERED debuted its newest projects, the KA24DE Genesis engine program and the shop’s USDM KA-powered 240SX. 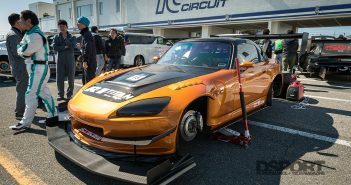 Other famous Japanese tuners, including Impul, Mine’s, MCR and Top Secret also brought out heavily tuned shop cars for everyone to see and enjoy. 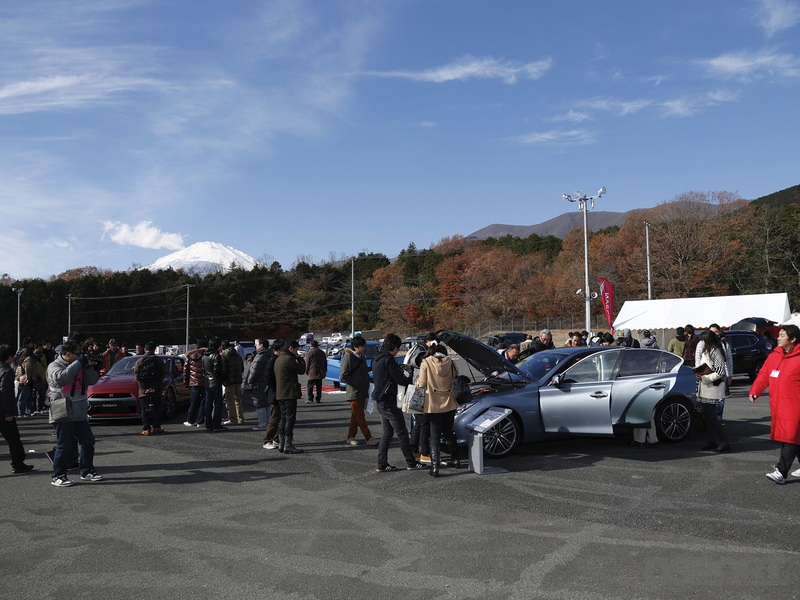 As racecars cleared from the track, enthusiasts began to gather at the starting grid for the “Advent of the Nissan GT-R NISMO” event. 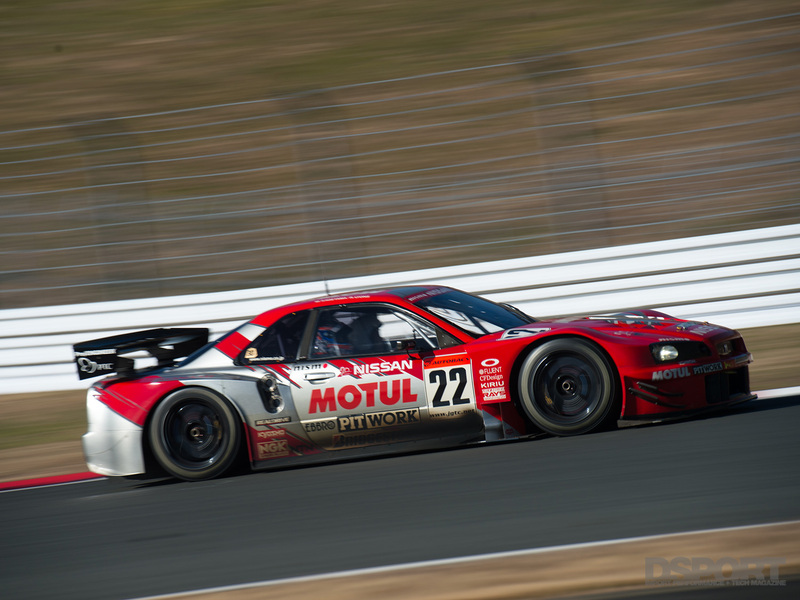 NISMO President Miyatani-san took the stage and introduced legendary drivers such, as Masahiro Hasemi of Hasemi Sport and Kazuyoshi Hoshino of Impul. 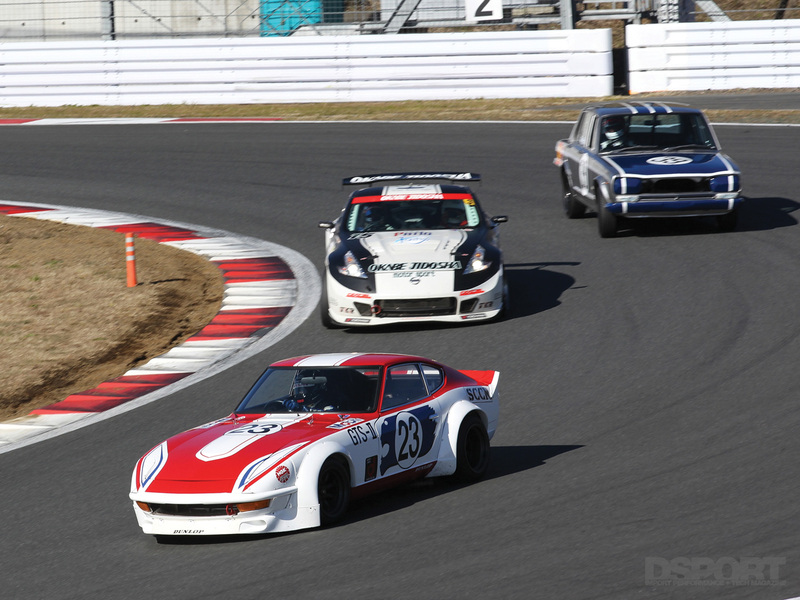 They jumped behind the wheels of their respective classic racecars for a track session alongside Nissan’s newest Super GT NISMO R35 GT-Rs. 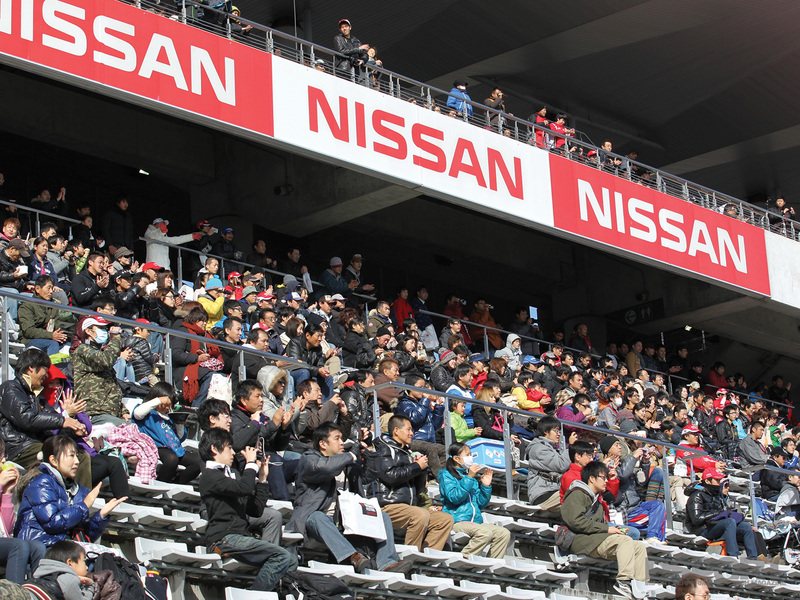 Those that attended the Nismo Festival were given the first opportunity to view the 2014 GT500 NISMO GT-R in person. 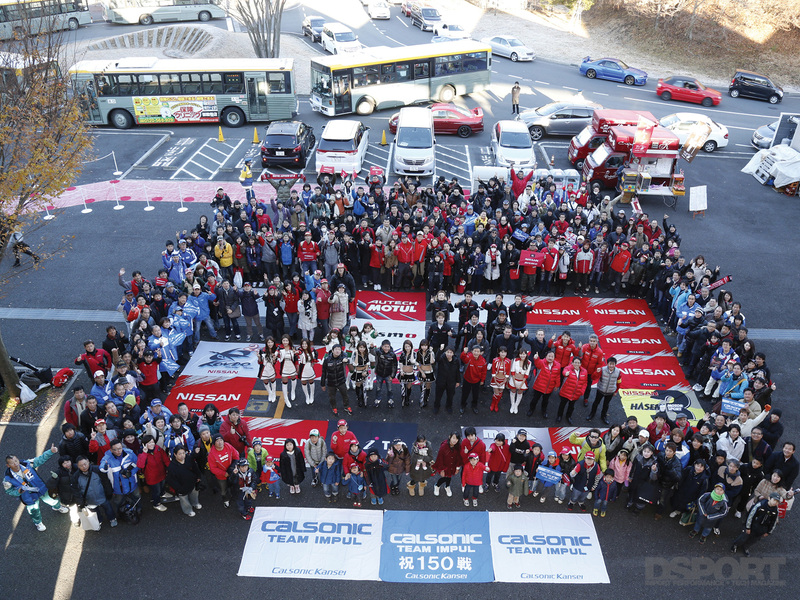 In addition to the cars, Nissan granted fans the chance to speak to and take pictures with famous drivers and umbrella girls on the starting grid. 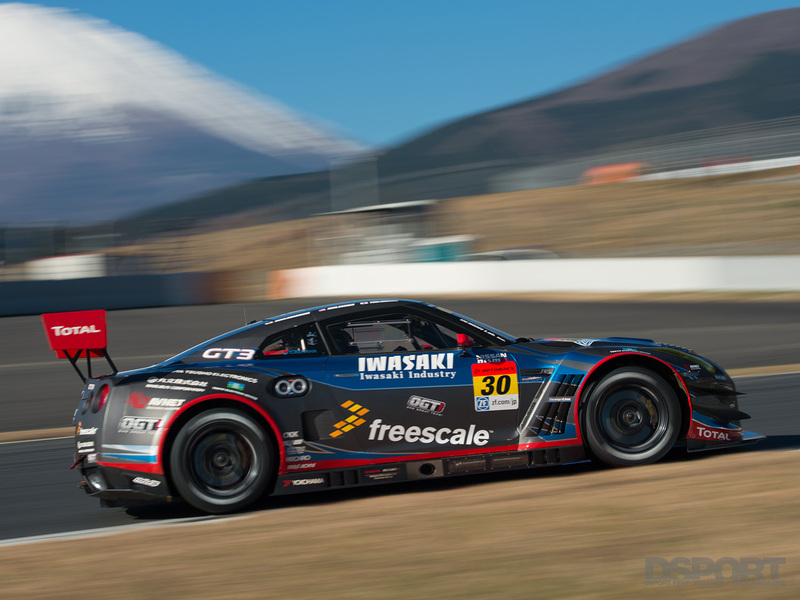 The camouflaged 2015 Nismo GT-R streetcar also made an appearance on the grid, having lapped the Nürburgring in a blazing 7:08.679 just a few weeks before. 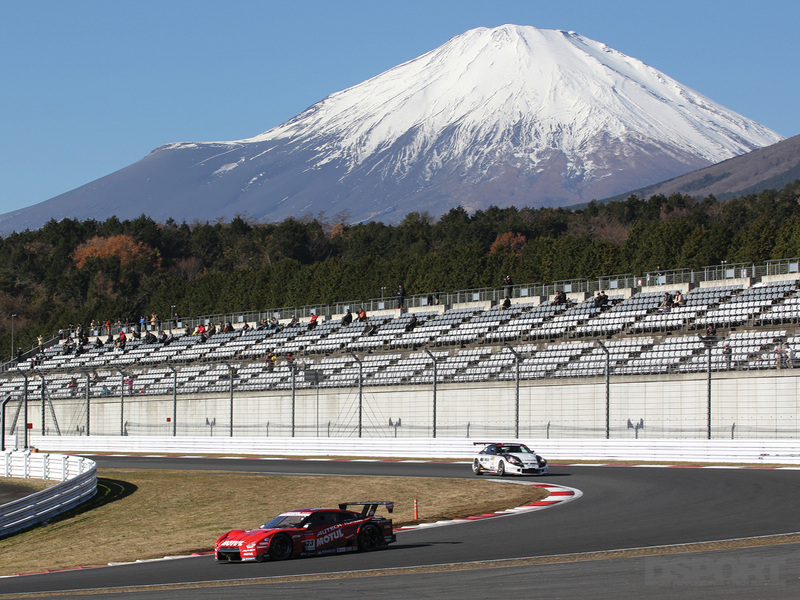 While the sun was setting behind Mount Fuji, Nissan held the final event of the night: the NISMO GP 2013. 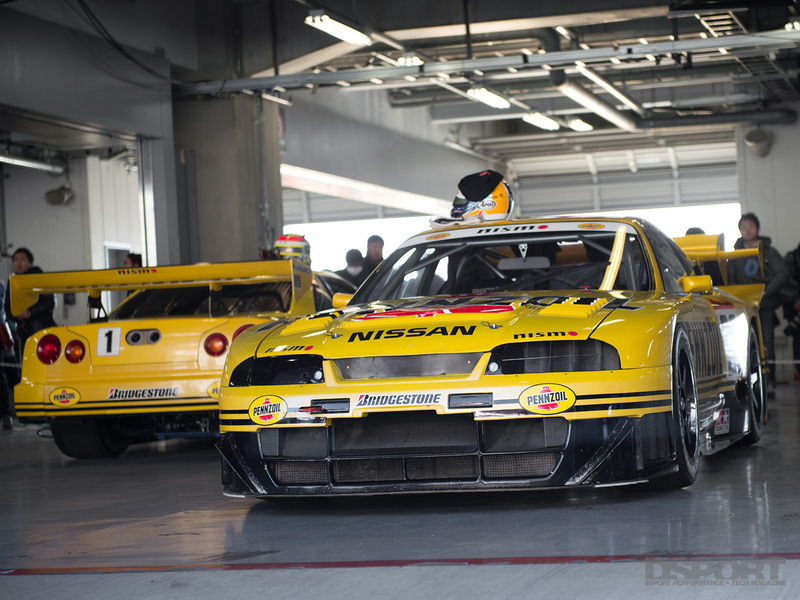 This event gathered all of the current GT-R and Z racecars together for an 18-car shootout around the track. 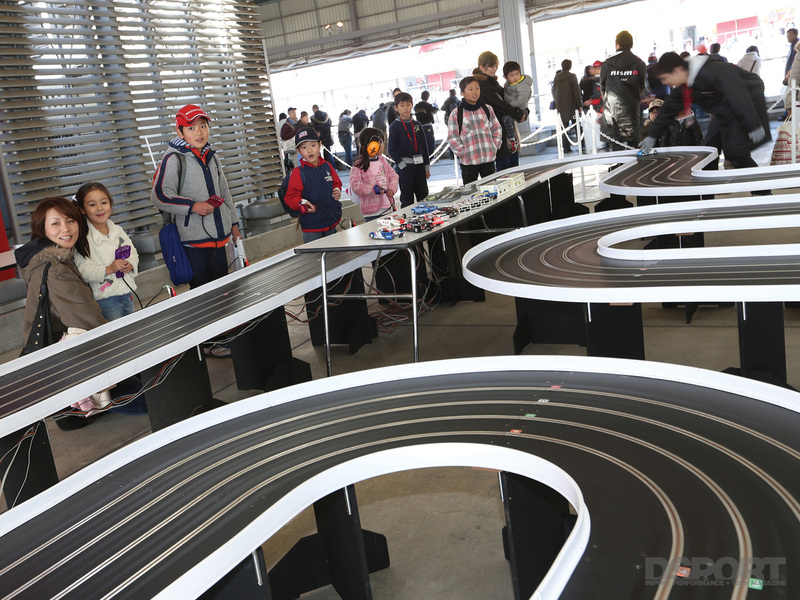 Although no real winner was crowned, the excitement was palpable. 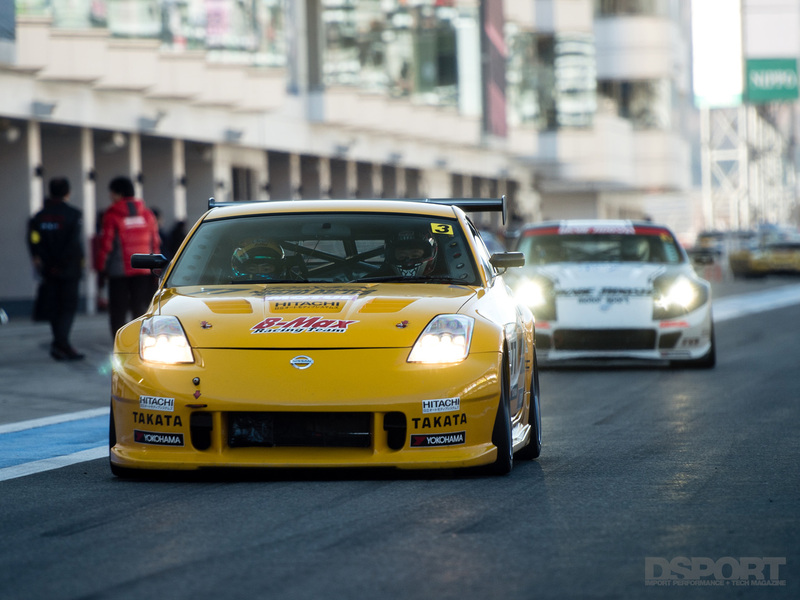 No other event but the NISMO Festival brings out hundreds of highly-modified Nissans and a multitude of historic Nissan race cars lapping Fuji Speedway from dawn until dusk. 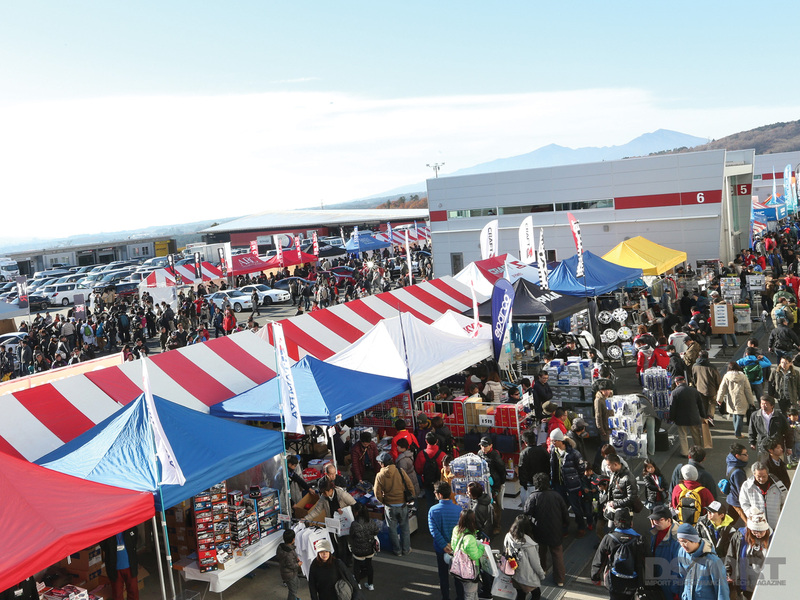 Although this year’s festival didn’t see the turnout of a few years ago, nobody can argue with an attendance of over 32,000 fans. 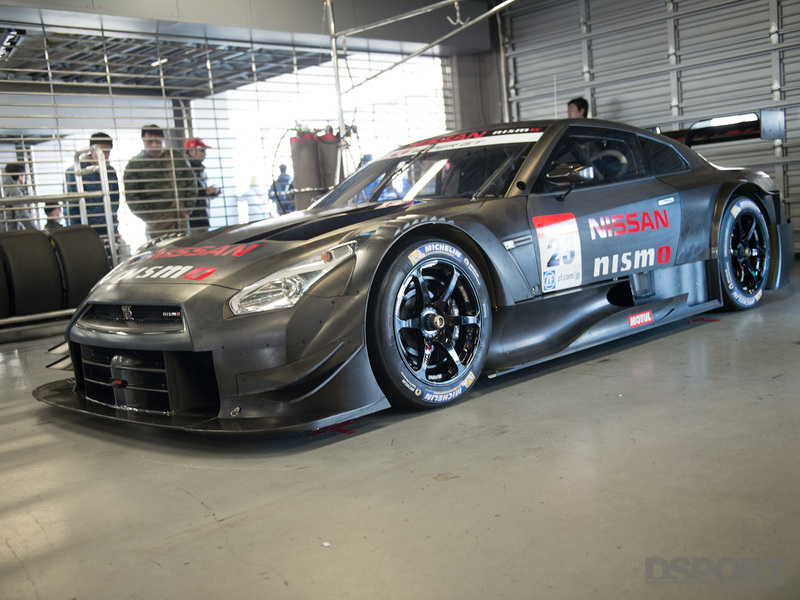 We can’t wait to see what NISMO has in the works for 2014.